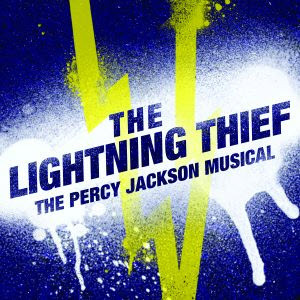 A new version of The Lightning Thief: The Percy Jackson Musical is set to take stage in from March through May 6 at the Lucille Lortel Theatre. The show has been revamped and expanded since it toured the country. The musical stars Chris McCarrell, best known for his role as Marius Pontmercy in the Broadway Revival of Les Miserables. It was written by Joe Tracz and Rob Rokicki. We’re so excited about Rick Riordan’s new series, The Trials of Apollo. The plan for the series is to have 5 books. The first book in the series, The Hidden Oracle, is set to release May 3, 2016. The premise of the book is that Apollo is banished from Mount Olympus by his father, Zeus, and sent to New York City as a teenager named Lester. Apollo heads to Camp Half-Blood, a where many of your favorite Percy Jackson characters live. On the way he visits Percy Jackson himself and asks for help. If you are a fan of any of the previous Percy Jackson books, this series is for you. As with his other books, Riordan continues to mix together Greek mythology with issues facing mortal teenagers. Have you ordered The Hidden Oracle yet? Are you looking forward to reading it?